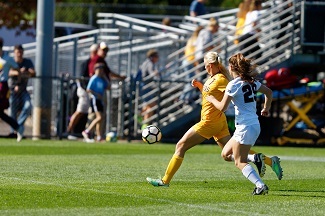 Minnesota had an unfortunate early exit from the Big Ten Tournament, but that gives the Gophers a chance to regroup before a possible NCAA Tournament berth. 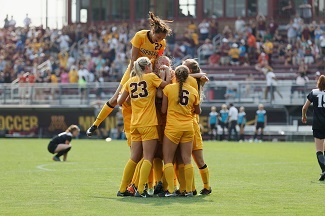 While we have a little time (the Big Ten Tournament doesn’t wrap up until Sunday), I figured it might be a good time to take a broader look at the Gophers performance and what changes they could make to prepare for a national tournament bid. Let’s go “Step by Step” (for the full experience, you should turn on the New Kids on the Block song and play it on repeat while reading this breakdown). Step one! We can have lots of fun. Spoiler alert, these lyrics won’t really match the steps I’m describing. But for the sake of the players’ parents who read these stories every week, I’m mixing it up. The first step the Gophers need to take to have lots of fun (sorry): not fall behind. This may seem overly obvious, but Minnesota’s system is especially effective in a wide-open game. When the other team scores first, it’s able to park the bus and pack its own box with defenders. 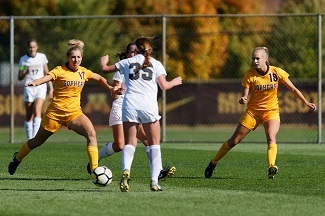 The Gophers have a lot of dynamic talent, but most of that talent is in movement, passing, and defending. It’s hard to move and pass in an opponent’s final third when that opponent is content to hangout back there and protect its lead. Step two! There’s so much we can do. 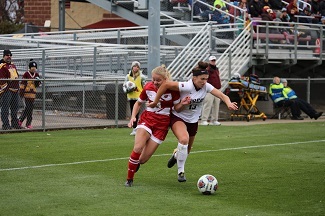 There’s a lot the Gophers can do to be dangerous, but over the past few games they’ve relied far too heavily on simply playing a long ball to one of their forwards and hoping she breaks free for a goal. Going from a dynamic, goals-and-final-passes-can-come-from-anywhere team to a team that tries to hit a home run through-ball makes it easier for the other team to predict the attack. To be fair, the Gopher forwards have all shown the ability to take defenders on, embarrass them, and get free on goal in those breakaway situations. But they’ve also had some bad luck finishing them the last few games. Step three! It’s just you and me. The antidote to the throw numbers forward, long ball attack is for the forwards to check back to the ball and make some direct connection with the midfield and back line. Early in the season, there were times when you’d see huge patches of open grass between the Minnesota lines. Those had largely disappeared during their five-game tear in the heart of conference play. But they seem to be popping up more and more. 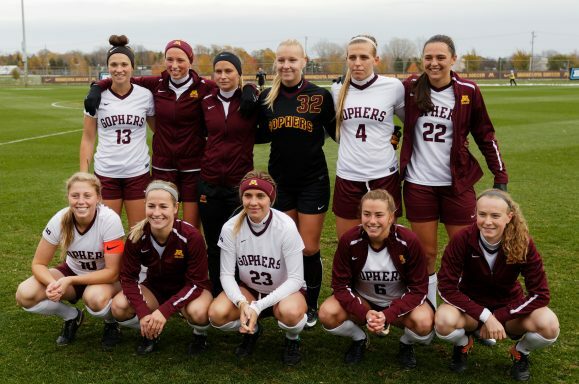 The Gophers are fantastic at playing to feet and combining for quick give-and-go, overlapping build-up play. No one is especially dangerous on balls played in the air. But virtually all the front six (and even the outside backs) are dangerous on a diagonal ball on the ground. Step four! I can give you more. When the Gophers take care of the first three steps, they absolutely score more goals. I probably over-use “flood-gates” any time Minnesota scores, but that’s because its system is built to score in droves. 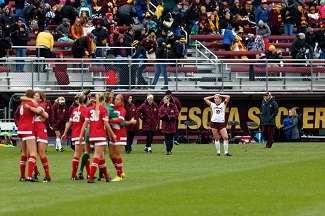 For example, if the Gophers score first (especially in tournament play, when each team has to play for the win) the other team is forced to play a bit more forward – even if it’s only in a counter attack. This, in turn, creates more space for Minnesota to move off the ball and pull defenders across the box, giving the ball handler more time to make a precise pass that provides an easier finish on goal. This team is not flooded with cold blooded strikers, but virtually everyone on this team can hit an open shot. Fourteen – I’ll repeat, FOURTEEN – players have scored for the Gophers this season (Wisconsin, the team that just knocked off Minnesota, had eight goal scorers). But the floodgates will only open if Minnesota returns to the quick, on-the-ground passing and off-ball movement that stretches defenses so dramatically. Step five! Don’t you know that the time has arrived? I’ve said this before, but I think there’s a chance – if the Gophers click at the right time – they could really give teams trouble in the NCAA Tournament. First, they have to have bit of luck and get there. But if they can pressure early and combine for an early goal, the dominoes fall from there. This team can compete with anyone and the time may just be right for them to make a run.